Exercise is a celebration of what your body can do. fitness is about more than a weight or a dress size. Workouts should be one-size-fits-one, not one-size-fits-all. Feeling confident, loving your body, and delighting in life’s adventures are gifts for everyone and every body. Be truly and fully present for the people & things you love. move through your day fearlessly, with dignity and Strength. Our private studio is light, bright, airy and welcoming. It’s free of big machines and scales. Click the thumbnail below to take a video tour of our studio! We offer memberships and single session packages. Pick the one that’s best for you! Click Here to schedule a complimentary consultation! Here's what our clients are saying about fitness for life. includes training in Muay Thai Kickboxing and the completion of ten triathlons, including one Olympic distance race. One of the reasons why my job is so important to me, is because I have firsthand experience with food and body issues. I spent many years drinking, smoking and sitting on the couch, after being diagnosed with both Binge Eating Disorder and Food Addiction. Now I am passionate about sharing what I learned during my own journey to help others find freedom and comfort in their bodies. I came to a career in the fitness industry, not as a lifelong athlete (I definitely wasn't! ), but as someone who felt insecure in, and embarrassed by, my body. So, when a client walks in the door feeling uncomfortable or uncertain, I totally understand. My journey with exercise began grudgingly. I knew I should exercise, so I did. But it ultimately did something much more important than just check one more "should" off my to-do list. It gave me confidence. It allowed me to be fully present for my life--to do the things I wanted to do. It taught me that I am tough and resilient. It uncovered my inner athlete, which I didn't believe existed. And it brought me a whole new career! One where I get to cheer other women on along their own fitness journeys. I hope you'll join us! our memberships are priced at flat monthly rates. simply choose how many days per week you would like to train. Discounts apply to three or more days per week memberships! all sessions include exclusive use of the entire studio for your private workout sessions. If you want more information about personal training at Fitness for Life, would like to be notified about studio news or upcoming events, please fill out the contact form on the right. To book a complimentary consultation or personal training session directly from our website, click here. You can also call us at 253.678.5403. 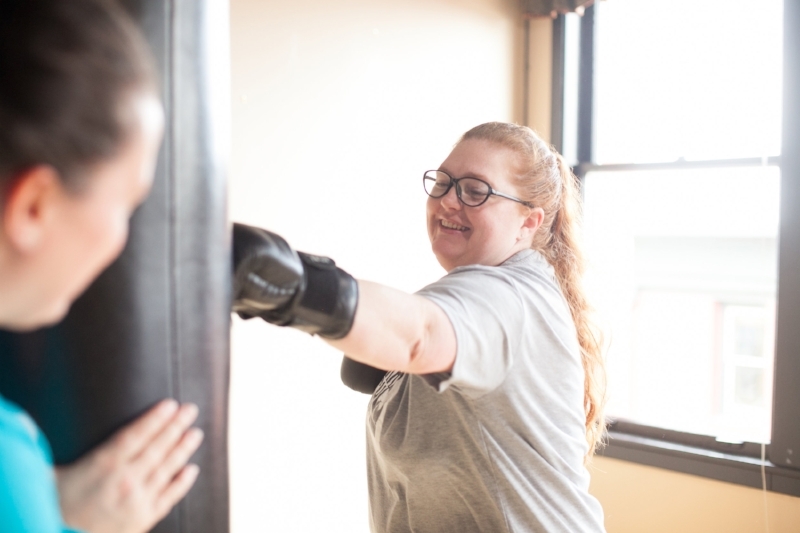 If you're interested in training at Fitness for Life, would like to be notified about studio news or upcoming events, or if you'd like to learn more about us, please fill out the contact form on the right.